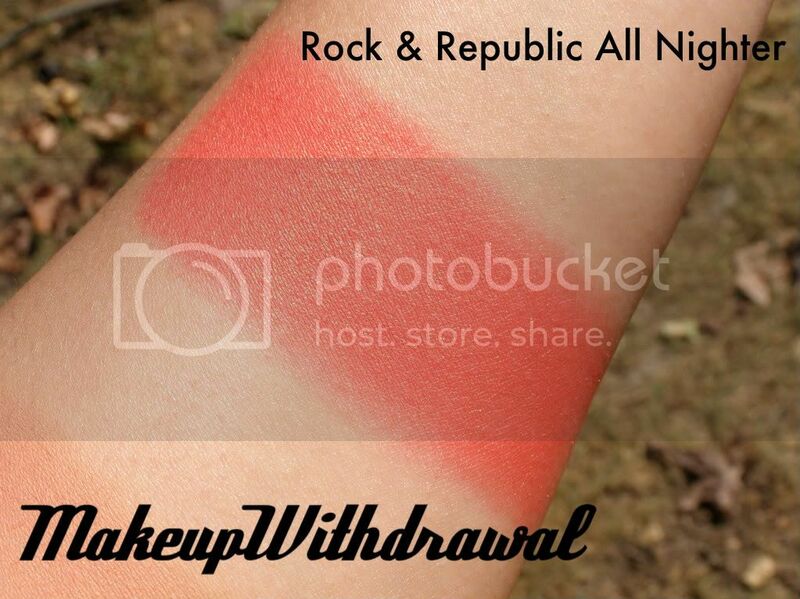 Another happy installment of posts about Rock & Republic! Today I'll be talking about All Nighter, a very bright and exciting blush. Look at it, does it scare you with how orange it is? All Nighter is so very vibrant, a red-orange with a slight hint of pink, I guess you could say that it's a very dark and intense coral if you wanted to. It has a bit of gold sheen peeking through as well. 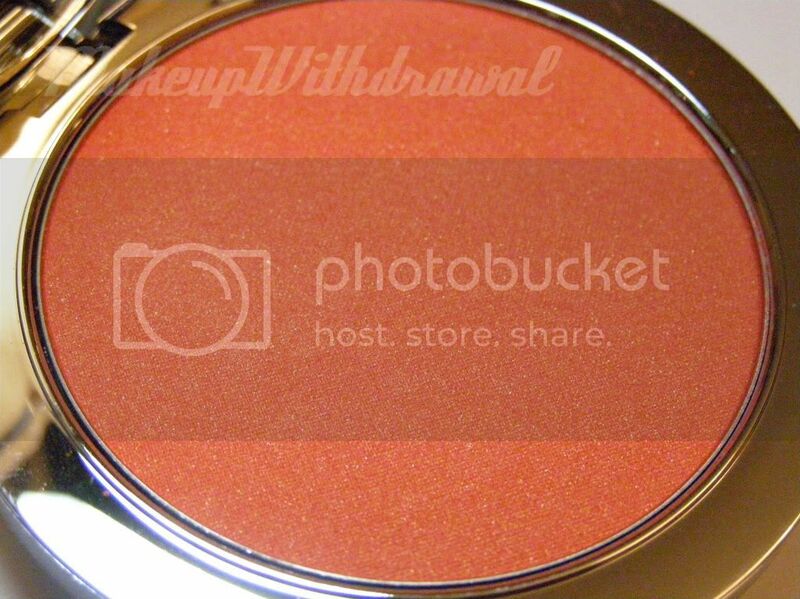 The thing I love about this blush is that it's so incredibly pigmented, you only need the lightest swipe with your brush to get enough for both cheeks. That's why I usually use a duo fiber brush like a MAC 188 to avoid getting too much- it's easy to over do and look like a clown! But don't let that scare you, the buffing this bright color in carefully results in a gorgeous flush. I also like that this blush lasts all day on me, I sometimes have a problem with blushes melting off my face (especially now that I've been working with blow dryers, my face gets really hot and oily at school). Kinda hard to see the gold sheen here, but it's there! 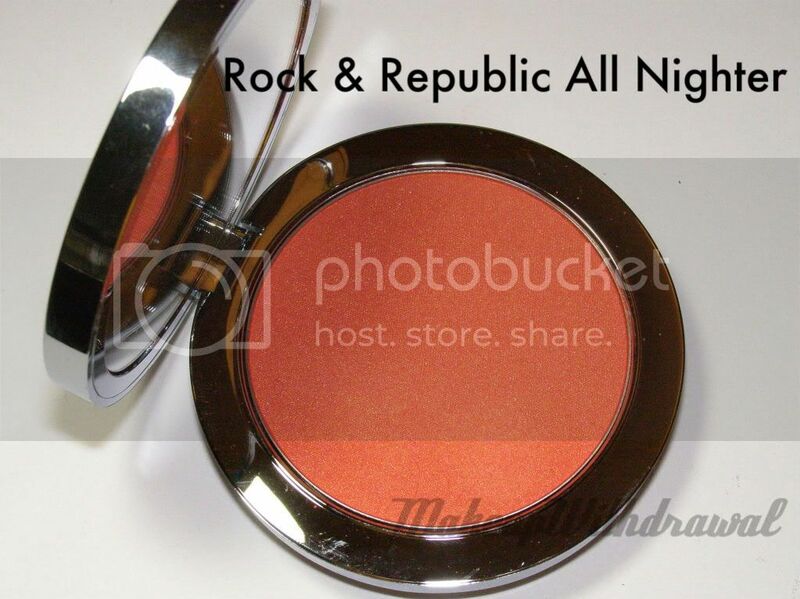 In short, I think this may be one of my favorite R&R blushes, just because I love that they made such an intense shade so wearable! See, not super scary- right? I do admit that it does bring out the olive in my skin, so perhaps I'll save it for bright sunny days when I look less green. So, what do you think of this color? 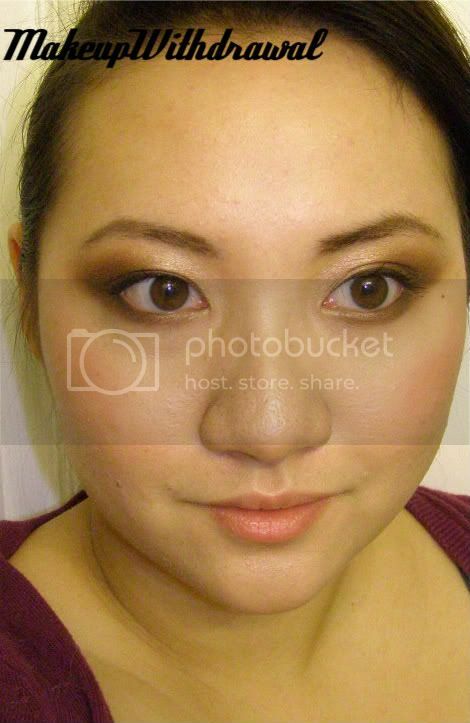 Do you own any bright scary blushes that you're kind of afraid of?